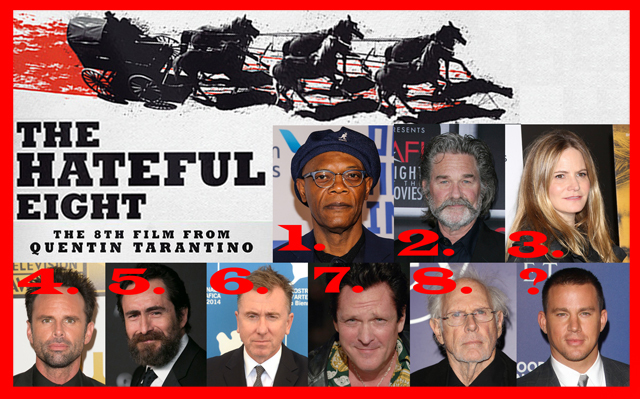 I felt torn reviewing this movie because I love Tarantino but I hate Westerns so I really had to have an open mind going in to see it. Firstly I have to say the performances were fantastic from all the cast but in particular Samuel L. Jackson and Jennifer Jason Leigh who were the standout performances for me. Unfortunately the movies biggest problem was it was far too dragged out for the first 103 minutes which made me loose interest but then in the last hour it really kicked into gear which saved it for me. I realise that the storytelling was a major part of the movie but it runs the risk of loosing audience interest when you are that far into the movie before it gets exciting. On the upside when it kicked into gear Tarantino delivered a fantastic gore fest and a great climax to the story bringing all those little clues together that we witnessed throughout the film. Not forgetting the impressive cinematography. For me The Hateful Eight wasn't bad but it wasn't the best of the Tarantino films and that's not because of a bad storyline or bad performances, it is simply down to the runtime and its ability to hold interest.